Espresso coffee is really difficult to order, isn't it? Espresso coffee is a simple thing if you just order as it is, in any of gourmet coffee shops. But it gets abit complicated when you want to have some variety, like maybe an americano or a cafe mocha? What are all these? Are they still espresso coffee? Yes, they are the same, in fact, they are merely a spin off from espresso. We would give a short brief on the type of gourmet coffees that people are ordering and invite you to submit coffees, which are not listed here (and we know for a fact, that there are a plenty). This is because, we are in the process of compiling a comprehensive guide on espresso coffee and with your input, this book could only get better. For this information, I would also shared my thoughts on how to get free coffee, by sending you this ebook on the tips and tricks on how to get free coffee, I know that you would definitely find it very useful. Having said so many things, do you know what is an espresso? It is a coffee that is intensified and produced by coordinating factors that includes the blend, the roast, the grind, the temperature, the pressure, the time and of course the brewing method. The end result is, it has more of everything that your usual coffee has, more aroma, more body and more taste. Lets learned about some of the coffee shops ordering terms that you have heard but are clueless about. If you heard of people ordering Americano, they are going to get 6 ounce of espresso diluted with water. Have you heard of breve before? Well, breve is made with steam half and half, instead of using milk. So, you would get your breve latte, breve mocha and breve cappuccino. Another few things that you would hear always being ordered are cafe au lait, cafe mocha and ristretto (of course, cappuccino too, but plenty has been covered in another article, so would not dwell on it), so what are they? Cafe au lait is simply coffee with milk, another way to call it is caffe latte. Cafe mocha instead of coffee with milk is coffee with chocolate. They are brewed using either cocoa powder or chocolate syrup, usually added at the beginning of preparing the coffee. Then, if you are ever inside a cafe or coffee shop, you would definitely have heard of ristretto. This is an espresso that is made with less amount of water. So, it is an espresso coffee that is purposely being pulled "short". In fact, at times it is also known as a "short pull" espresso. If you are going to order italian coffee, do you know how many types there are or how do you go about placing your order in an espresso coffee shop? Is Costa Rican Coffee Really that Bad? Coffee lovers do not really like costa rican coffee, stating that it is too mild and they find it very "lacking". You probably heard alot of people talking about colombian coffee, so what is so special about this coffee, and why it can command this pricing? What Exactly is Specialty Coffee? Have you ever wonder what exactly is a specialty coffee? What make it different from other coffee? How do they grade them? Is Coffee Latte Similar to Cappuccino? What is the difference between a coffee latte and a cappuccino? 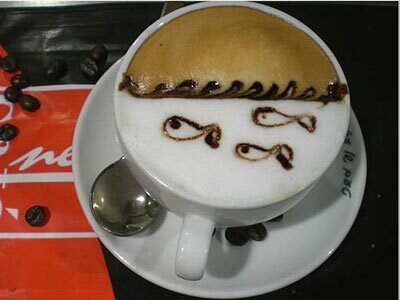 Do you need to use different coffee makers or espresso maker to prepare these espresso based drinks? Cheap coffee beans are not worth the money? Many people say drinking coffee is an holistic experience. And would you want to ruin this experience with cheap coffee beans? If not, why look for cheap alternatives? Espresso tamper, any difference among them? This article is probably for very serious coffee lovers, those that still dose, tamp and brew their own espresso. Even then, do you know that your espresso tamper can better your brew? Espresso powder to some coffee lovers might not be good enough, but with so many people drinking them -this genre of coffee has its own value add right? Espresso vs Coffee – Which is better? Espresso vs coffee, which beverage is better, which of the coffee is more popular. Both has their followings, positive and negative reviews, so how do we decide the winner? Getting espresso supplies at a lower cost? Gone are the days where table top vending machines are the only solution for office coffee, now, you can even have super automatic coffee espresso machine in your office! If you are wondering about a good gift, gourmet espresso coffee gift would be your perfect answer. It is suitable for most people, and almost any occasion. There are some "small things" that would make a huge difference for your espresso, they are what is know as espresso accessories, this seemingly small things can better or alter the taste of your cuppa..
Have A Great Story About Espresso Coffee? Do you have a great story about Espresso Coffee? Share it!